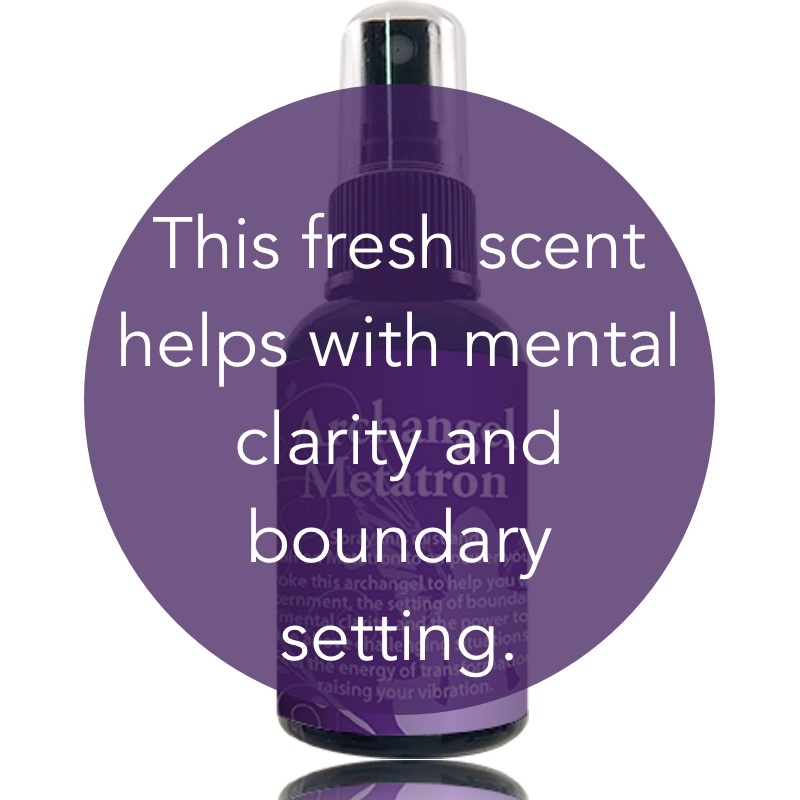 Spray this mist and call on Metatron to empower you. Invoke this archangel to help you with discernment, the setting of boundaries, mental clarity, and the power to rise above challenging situations. Feel the energy of transformation raising your vibration. 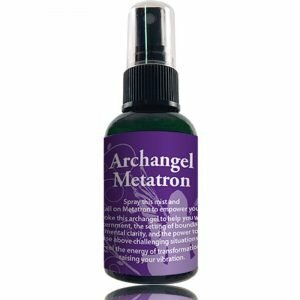 Spiritual Uses: Archangel Metatron spray is useful to activate the part of you that can transcribe messages from high spiritual teachers. 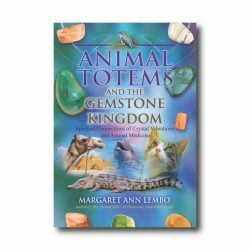 Use this spray to awaken your alignment with messages from the Akashic Records. Mental Uses: Use this spray for mental clarity and to discern information from God and his high-ranking angels. Use it in your space prior to contemplation, meditation, and prayer. Spray Archangel Metatron during mentally challenging times with the intention to transform and transmute the current situation. Emotional Uses: Use this spray for the purposes of empowerment and to increase your ability to establish boundaries. It is a comfort for you during times when you need to rise above a situation and raise your vibration. Physical Uses: This sacred spray is beneficial to listen to the guidance and follow it for your personal health and well-being.